Each year Jon and friends volunteer to put the Machynlleth "Hollywood" sign up on Penrallt, common land above town, for the Machynlleth Comedy Festival,. The original sign went up in 20?? for the Pink Snowball film awards; this particular sign is the second incarnation, the first being accidentally destroyed when in storage. In 2018 the sign underwent another upgrade with four fencepost set permanently into Penrallt - hopefully the kids don't steal them before 2019 - and a fresh coat of paint. 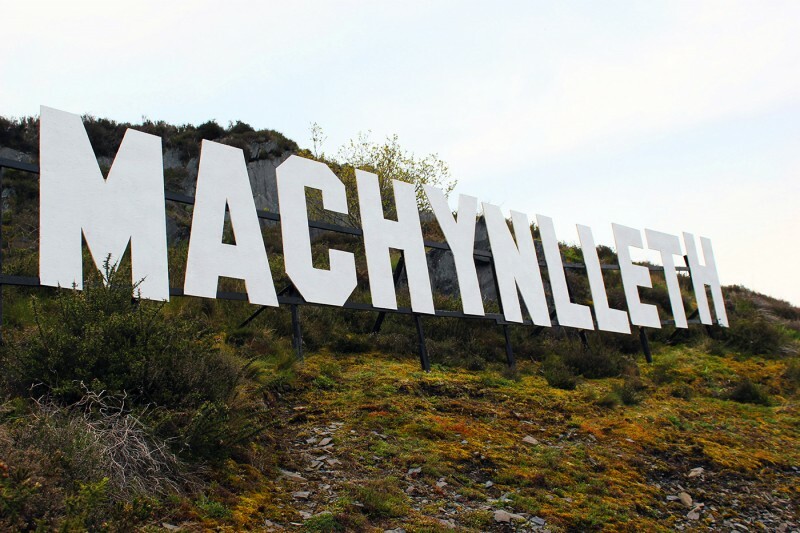 Timelapse of Machynlleth sign going up in 2015. Video: Giles W Bennett.